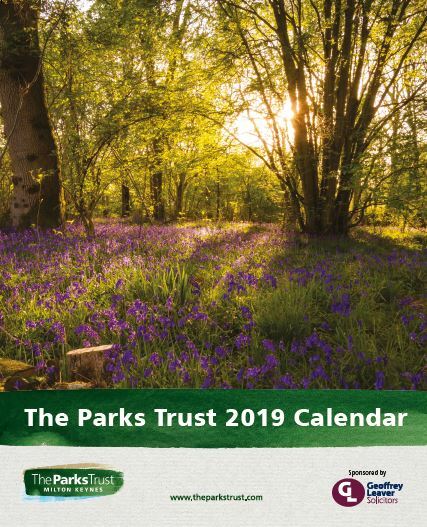 If you love the beautiful green spaces located across Milton Keynes, then The Parks Trust’s 2019 calendar is the one for you. Each month features a fabulous image taken in one of our parks; including landscape, wildlife and events images. Many of the photos used were taken by local Milton Keynes residents as they enjoyed the parks themselves. Order your calendar before Tuesday 18th December to receive it before Christmas. The Parks Trust is a self-financing charity that cares for over 6,000 acres of Milton Keynes' parks lakes and landscapes. All proceeds received from calendar sales will be reinstated back into the maintenance of the city’s green spaces.